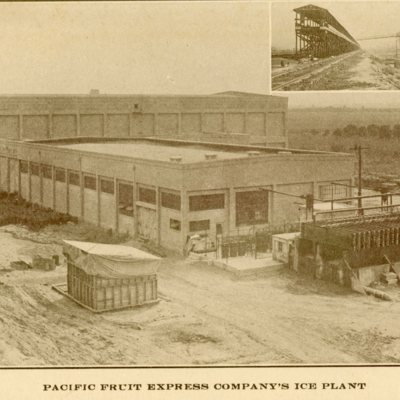 A collection of three albums containing a total of 511 postcards. 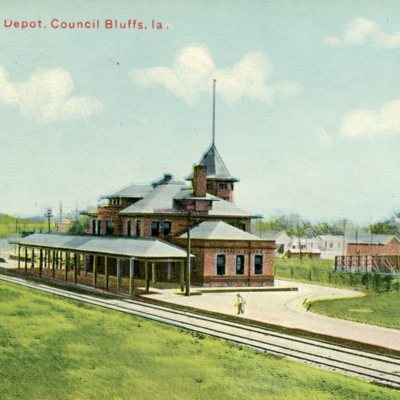 This collection consists of historic Council Bluffs postcards dating from approximately the late 1890's to the 1970's. 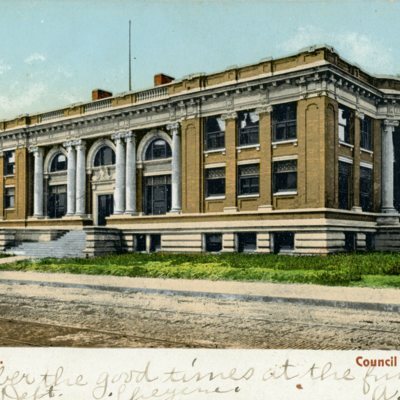 Seven postcards depicting the Council Bluffs Public Library. 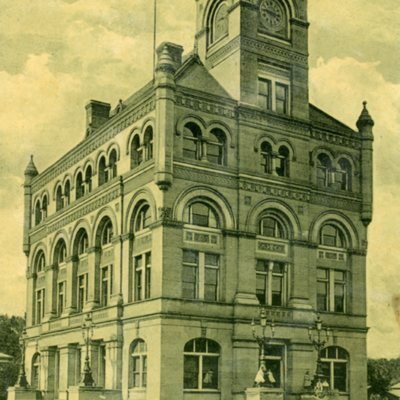 Seven postcards depicting the Council Bluffs Post Office and Federal Building. 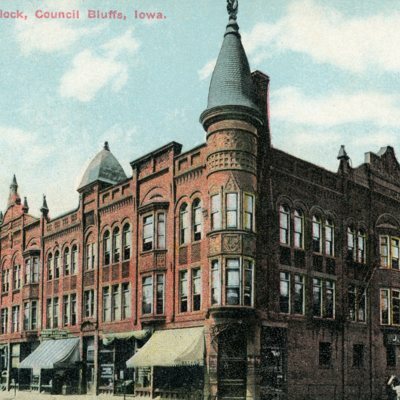 Three postcards depicting the Merriam Block in Council Bluffs. 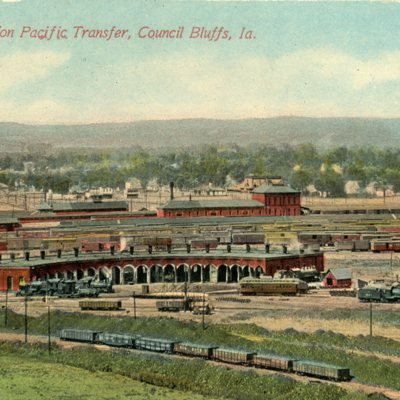 Four postcards of the Union Pacific Transfer Station in Council Bluffs, Iowa. 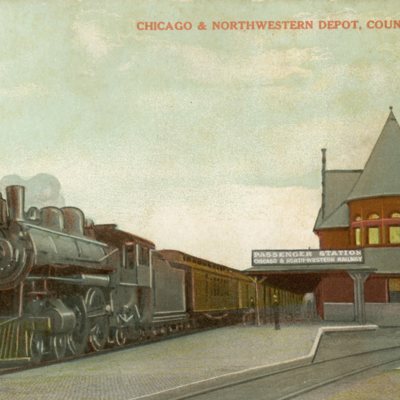 Three postcards depicting the Illinois Central Station. 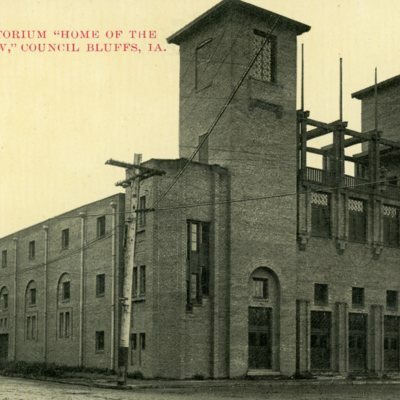 Three postcards depicting the Council Bluffs Auditorium. 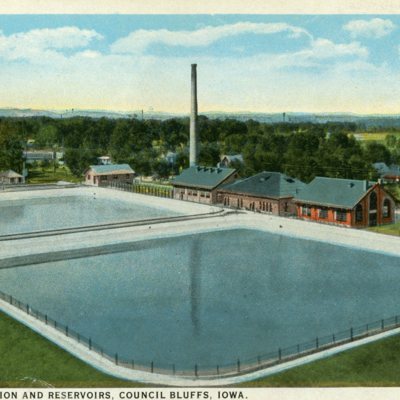 Two postcard depicting pumping stations and reservoirs. 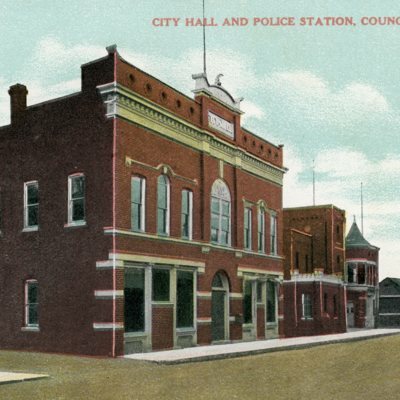 Postcard depicting City Hall and Police Station. 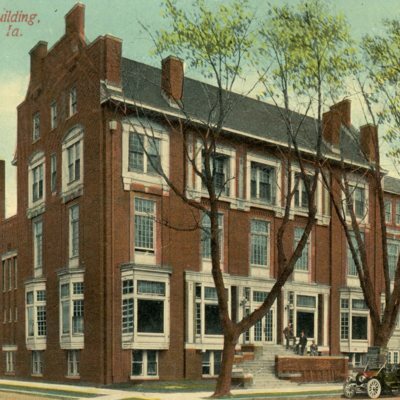 Three postcards depicting the original Council Bluffs YMCA Building. 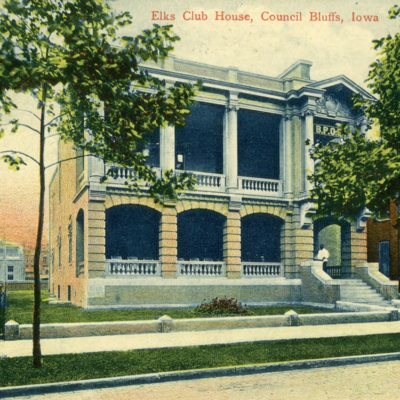 Three postcards depicting the Elks Club House. 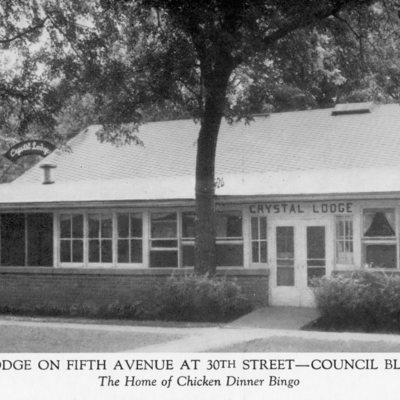 Postcard depicting Crystal Lodge on Fifth Avenue at 30th Street - "The Home of Chicken Dinner Bingo." 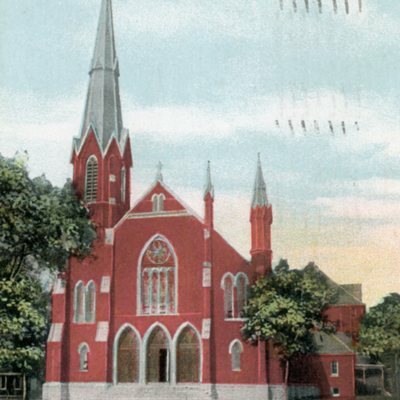 Two postcards depicting St. Francis Catholic Church. 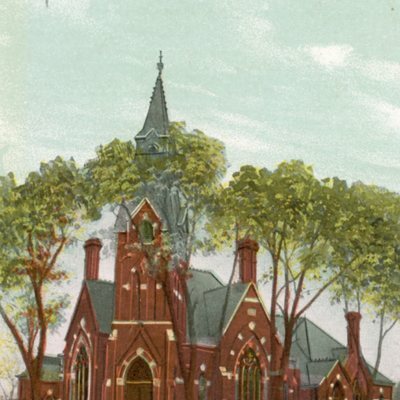 Two postcards depicting Broadway Methodist Church. 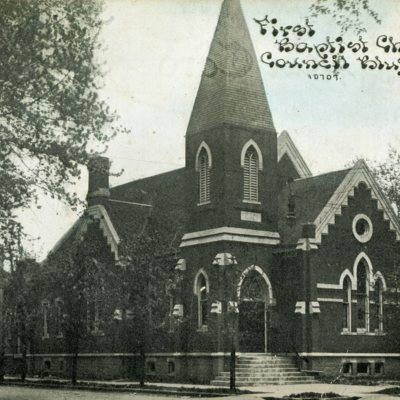 Postcard depicting First Presbyterian Church. 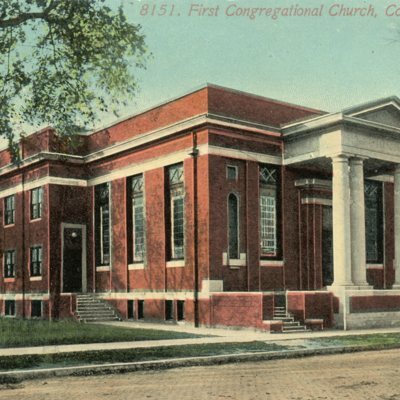 Postcard depicting First Baptist Church. 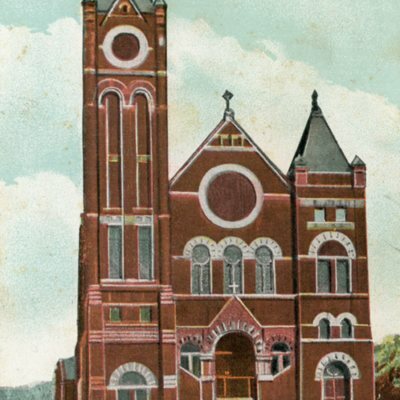 Postcard depicting First Congregational Church. 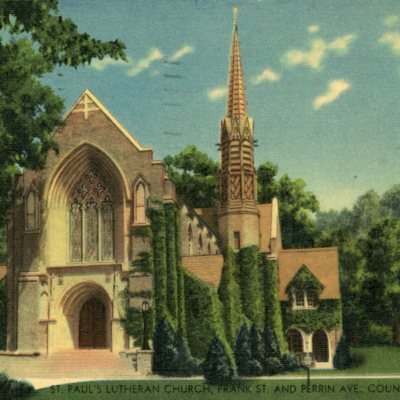 Six postcard depicting St. Paul's Lutheran Church. 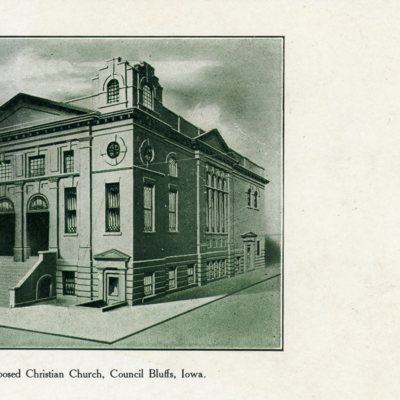 Postcard depicting a proposed christian church in Council Bluffs, Iowa.